It was 70 years ago today, June 6, 1944, when World War Two Allied forces invaded Normandy, France by air and sea, in what was known as Operation Overlord: the Battle of Normandy. Despite poor weather conditions, air attacks began around midnight in Normandy with over 2,200 British and American bombers taking part. 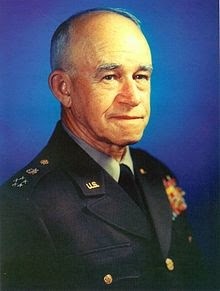 The American amphibious assault included over 73,000 men, 15,600 from the airborne divisions with General Omar Bradley as commander of the American contingent. This was the largest operation in U.S. military history since General Ulysses S. Grant landed at Bruinsberg during the Civil War. 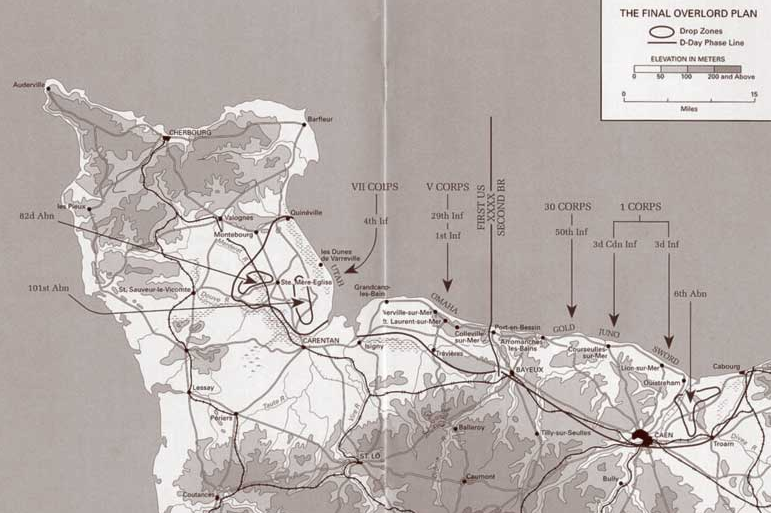 The U.S. was concentrated on taking two beaches code named Utah Beach and Omaha Beach. The British were assigned to Gold Beach, Sword Beach, and Juno Beach where the Canadians also assisted. A total of 156,000 Allied soldiers landed on the shores of Normandy: The largest invasion by sea ever accomplished in history. Allied causality figures of those injured, missing or dead have been estimated around 10,000 with U.S casualties alone numbering over 6,600. The British sustained approximately 2,700 and the Canadians had over 900. Although the Allies were victorious in the Normandy invasion, the loss of life was great. 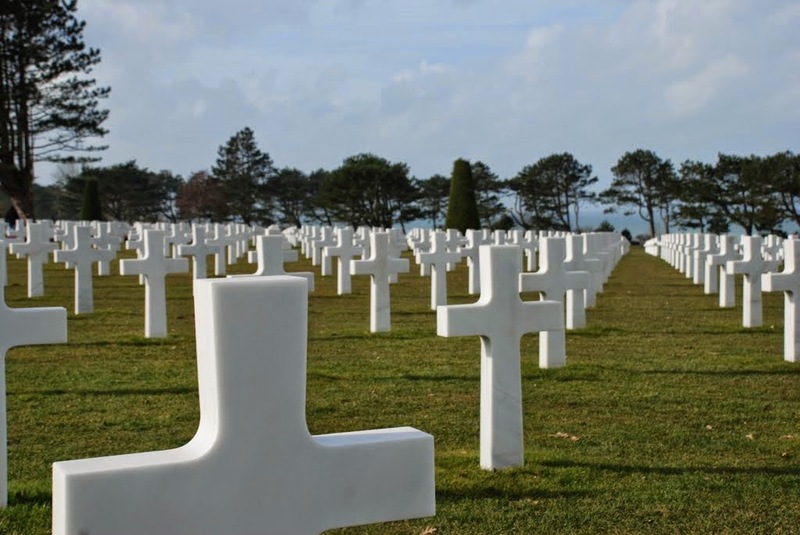 On June 8th the U.S. First Army established the first American cemetery in Europe for the war dead. 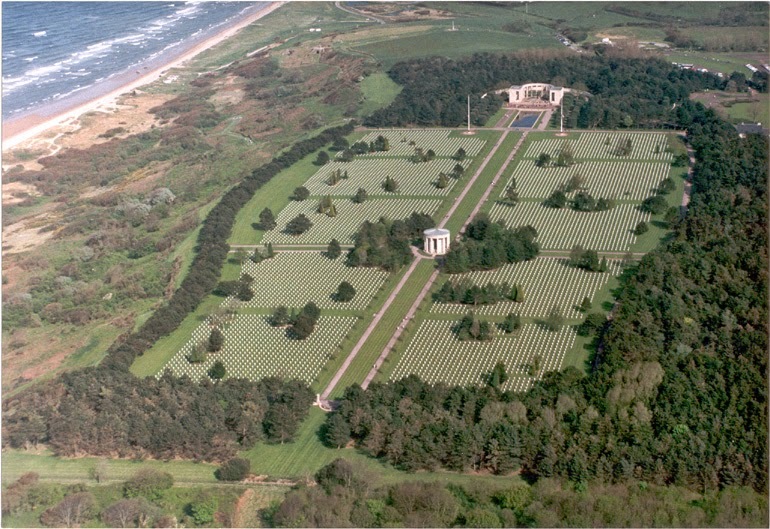 Today, it is known as the Normandy American Cemetery and Memorial, and is located near Colleville-sur Mer, France. 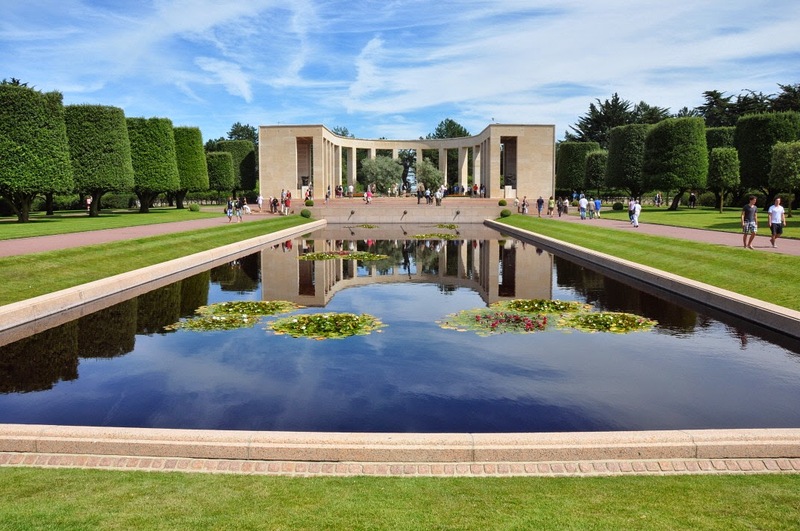 It is the final resting place for 9,386 U.S. WW II service men, and also one aviator killed in action during WW I; Quentin Roosevelt, son of President Theodore Roosevelt. A memorial for the 1,557 Americans who died in the Normandy campaign but could not be identified or located was constructed from 1953 - 1956. The names of those missing men are inscribed on the walls of the curved memorial at the east end of a retaining pool. 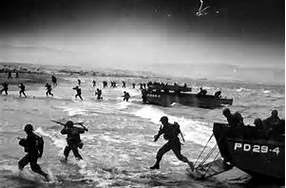 1) Operation Overlord included American, British and Canadian armies. 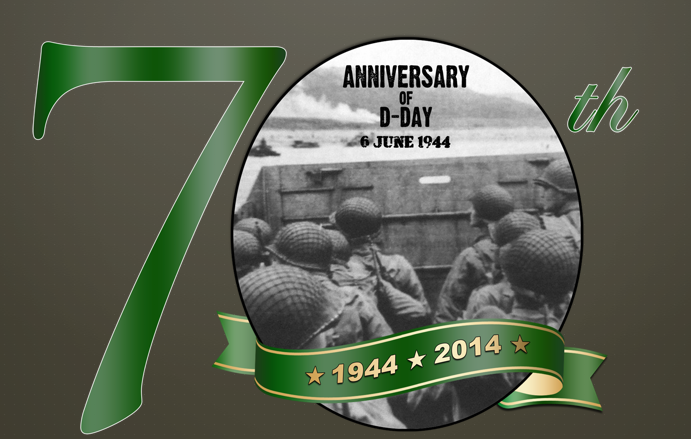 2) Operation Overlord was originally planned for June 5th but weather forced a one-day postponement. 3) The “D” stands for the secret “day” scheduled for the invasion. 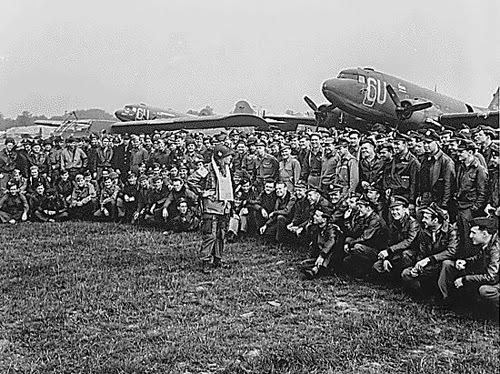 4) Allied forces trained for one year before the Battle of Normandy. 5) Over 156,000 allied troops landed in Normandy on D-Day. 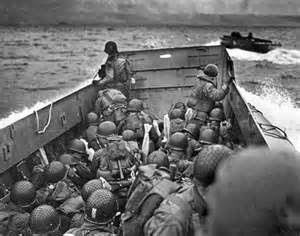 6) Close to 2,300 landing crafts carried men, vehicles and supplies to Normandy. 7) This was the largest seaborne invasion in history. 8) During the first eight hours of the assault, over 11,000 Allied aircraft flew 14,674 sorties. 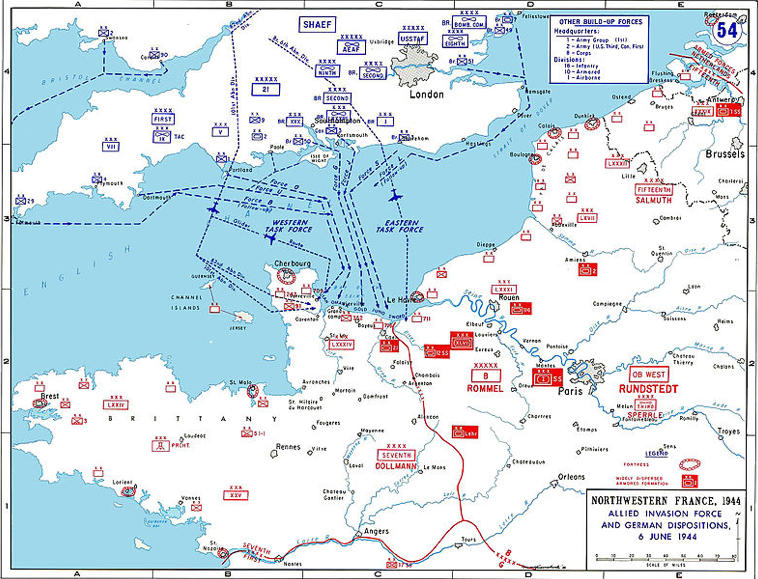 9) The Germans flew over 300 sorties, most never reaching the beaches. 10) Six parachute regiments, made up of over 13,000 men, were flown from nine British airfields. 11) Dummy paratroopers called Ruperts were also dropped in different locations to confuse the Germans. 12) Over 18,000 parachutists were on the ground before dawn. 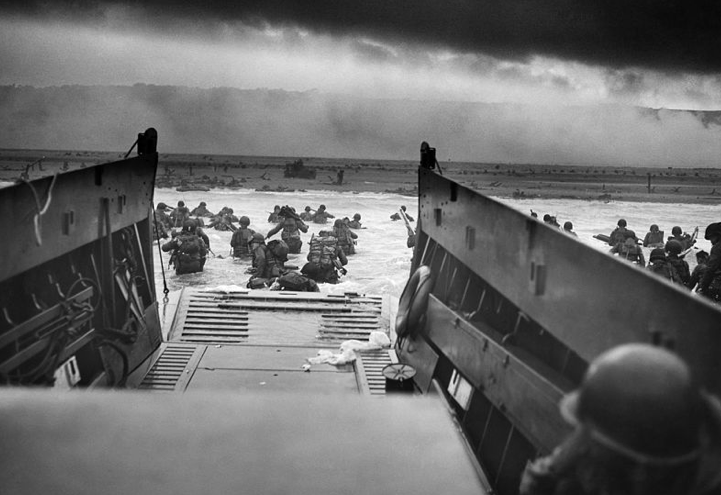 13) At 6:30 am, Allied soldiers began going ashore across a 60-mile front. 14) Those first off the landing crafts carried over 80-pounds of gear. 15) German Field Marshall Erwin Rommel was not present when the invasion began – He was in Germany, celebrating his wife’s birthday. 16) German U-boats sank only one ship, a Norwegian destroyer named Svenner, on D-Day. 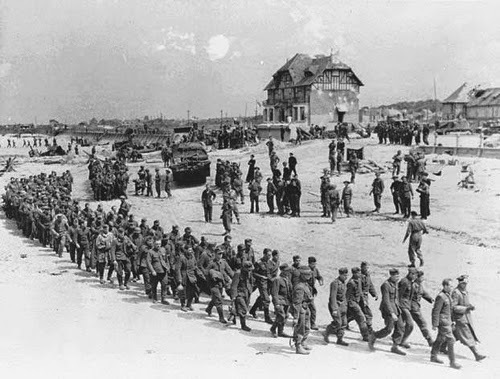 17) Germans were captured at a rate of 30,000 per month from D-Day through December 1944. 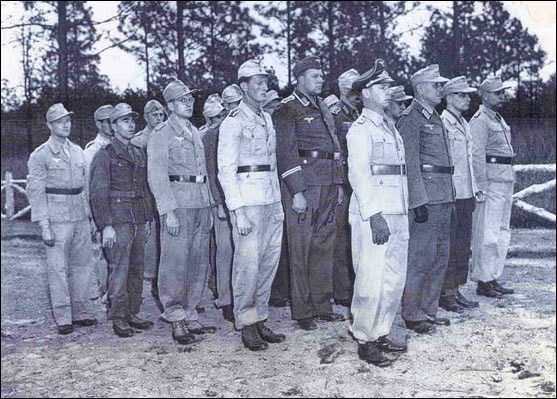 18) Texas housed 33 detention facilities during the war for German prisoners. 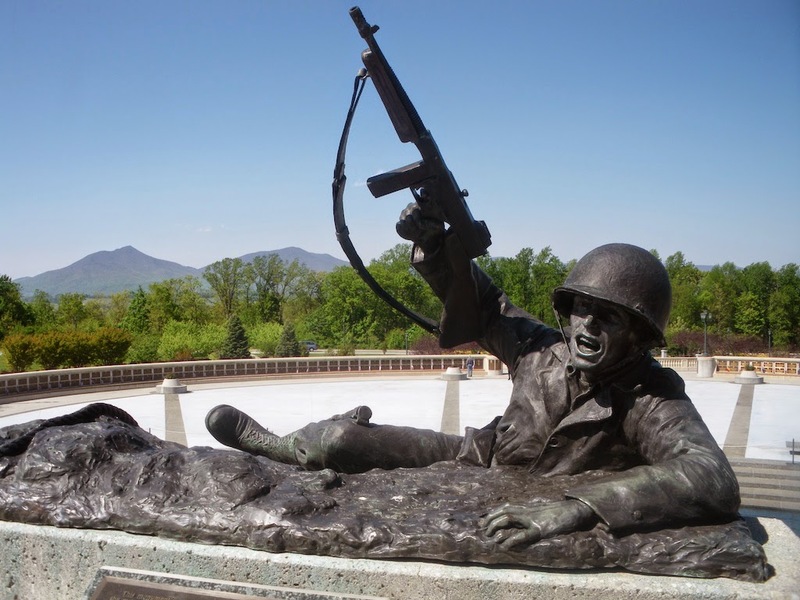 19) The National D-Day Memorial is located in Bedford, Virginia: the home of 21 men who were killed on D-Day. www.dday.org. 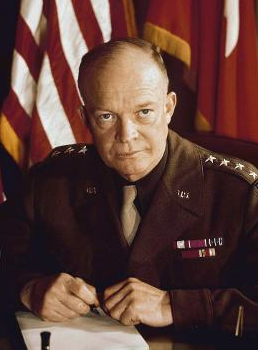 21) General Dwight D. Eisenhower issued this order to begin the Battle of Normandy: "I have full confidence in your courage and devotion to duty and skill in battle. We will accept nothing less than full Victory! Good luck! 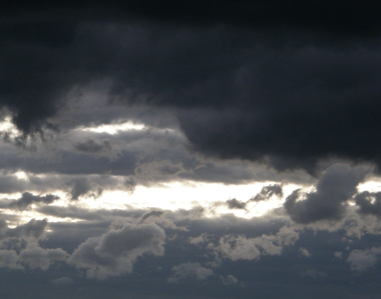 And let us beseech the blessing of Almighty God upon this great and noble undertaking."